Middle-aged people who do not get enough sun face a greater risk of early death, research suggests. Scientists from the United States have found that a group of adults with an average age of 55 who had lower blood levels of vitamin D were twice as likely to die prematurely as those with higher levels. Past studies have shown that vitamin D deficiency can increase the risk of developing heart disease, bowel and breast cancer, multiple sclerosis and diabetes - and the latest findings add more weight to this argument. The discovery is based on the association of low vitamin D with risk of premature death from all causes, not just bone diseases. The research team from the University of California's San Diego School of Medicine looked at a total of 566,583 people from 14 countries. Subjects were an average age of 55 when the blood was drawn, while the typical follow-up length was nine years. They observed that the blood level amount of vitamin D associated with about half of the death rate was 30 ng/ml. Vitamin D, which is made by the body under the skin when it is exposed to sunlight, carries out several important functions, including helping to regulate the amount of calcium and phosphate in the body. A deficiency can occur when there is not enough of the vitamin to properly absorb the required levels of calcium and phosphate. This can lead to a number of problems such as rickets in children and osteomalacia in adults. 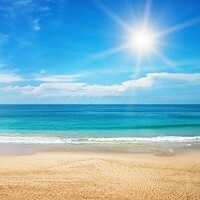 Trips to sunnier climes can therefore be extremely beneficial, especially for middle-aged individuals, so people should find the time to go on holiday at least once a year, while vitamin D supplements can also help. But don't forget travel insurance, as this can offer protection should anything go wrong on your travels.